This year's French Open will be one that is remembered not just for the tennis played but for the fact that it is being shot and broadcast live in 3D. Home Cinema Choice – part of the TechRadar network – were on hand to witness the event. 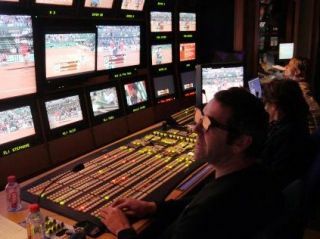 According to HCC, the transmissions, produced in association with the Fédération Française de Tennis (FFT), are being beamed to 3,000 locations across 58 European territories, via Hotbird and Astra. In the UK, the matches can be viewed in any Panasonic retail outlet. Laurent Abadie, CEO of Panasonic Europe, said about the 3D trials: "We've been investing a lot in 3D research and development, from 3D broadcast cameras and TVs, but what we want now is 3D content, which is why we're delighted to contribute to this 3D trial." The 3D content was watched through 50in Panasonic VT20 Active Shutter plasmas, with the whole production costing 50 per cent more than a normal 2D setup. To read the full exclusive report about the 2010 Roland Garros 3D transmissions, head on over to HCC.techradar.com.